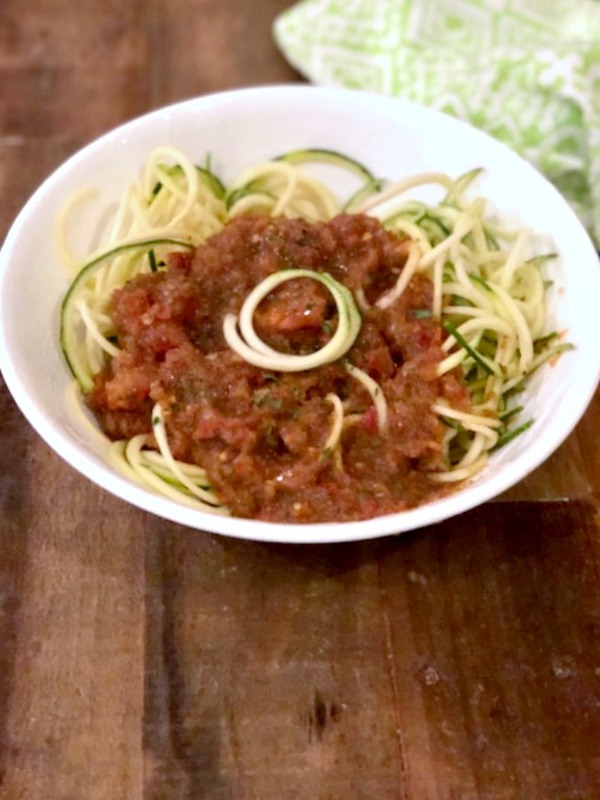 Fresh Quick Cooking Tomato Sauce over spiral zucchini pasta is a family favorite around my house. It’s so easy to make and this sauce is beyond delicious. You’ll love it like we do, I’m sure. Enjoy! 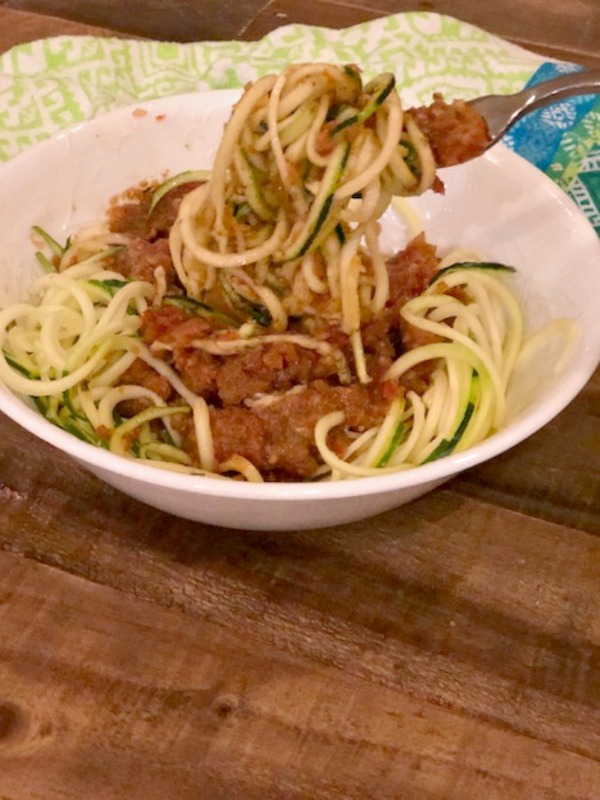 If you have been on this blog before, you may have seen another fresh and delicious “pasta” recipe that’s actually a no-cook meal. 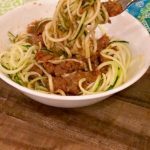 I love using a fresh zucchini in place of regular pasta. You can’t beat the nutrients that are in a zucchini. Topped with a fresh, divine sauce makes this the perfect, healthy dinner everyone will love. ¼ cup fresh basil leaves, rolled up then sliced in a chiffonade. Add oil to large pan, toss in onions, cook until translucent and have softened up. Add garlic. Cook just until you smell the garlic. Add in tomatoes, tomato paste, oregano, honey, turmeric, salt, pepper, and red pepper flakes. Cook about 10 to 15 minutes on low to medium heat with the cover off. Check for seasoning and thickness of sauce. Add in some tomato sauce if need to thin or a teaspoon more of tomato paste if need to thicken. Add in basil and stir. Let cook just a minute more. 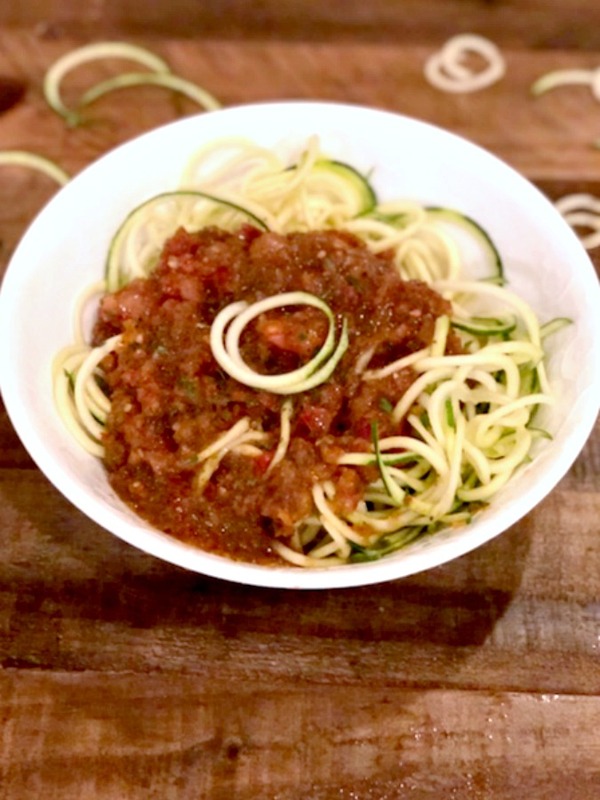 Take off heat and let sit for just a few minutes while you prepare the zucchini noodles. Here's a quick dish that's fresh and so delicious. You'll love the spiral zucchini in place of regular pasta. Gluten free and vegan too. Enjoy! 1/4 cup fresh basil leaves, rolled up then sliced in a chiffonade. 1. Add oil to large pan, toss in onions, cook until translucent and have softened up. Add garlic. Cook just until you smell the garlic. 2. Add in tomatoes, tomato paste, oregano, honey, turmeric, salt, pepper, and red pepper flakes. Cook about 10 to 15 minutes on low to medium heat with the cover off. 3. Check for seasoning and thickness of sauce. Add in some tomato sauce if need to thin or a teaspoon more of tomato paste if need to thicken. 4. Add in basil and stir. Let cook just a minute more. 5. Take off heat and let sit for just a few minutes while you prepare the zucchini noodles.